Archibald Prentice, the son of a small farmer from Lanarkshire, was born on 17th November, 1792. After a brief period at school, Archibald Prentice started work at a warehouse clerk for Thomas Grahame, a local textile manufacture. Prentice impressed his employer and in 1815 Grahame sent him to represent the business in Manchester. In Manchester Archibald Prentice became friends with local social reformers such as John Edward Taylor, John Shuttleworth, Absalom Watkin, Joseph Brotherton, William Cowdray, Thomas Potter and Richard Potter. The group was strongly influenced by the ideas of Jeremy Bentham and Joseph Priestley. Prentice described Bentham's writings as "my political text books". Archibald Prentice, like the rest of the businessmen in Manchester, objected to a system that denied important industrial towns and cities representation in the House of Commons. The men met in the back room of John Potter's house which became known as Potter's Planning Parlour. 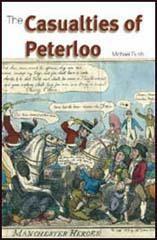 On 16th August, 1819, Prentice observed the beginning of the reform meeting at St Peter's Field from the window of a friend's house in Mosley Street. Prentice had left the area when the attack on the crowd took place. However, after interviewing several people who had seen what had happened, Prentice wrote an account of the event and sent it to a London newspaper. The story left Manchester by night coach and appeared in the London newspaper 48 hours later. This article, along with the report that John Edward Taylor wrote for The Times, ensured that the events at St. Peter's Field became national news. After the Peterloo Massacre Archibald Prentice became a regular contributor to local newspapers. This included theManchester Guardian, the newspaper founded by John Edward Taylor in 1821. However, Prentice did not believe the Manchester Guardian was radical enough and in 1824 he purchased his own newspaper, the Manchester Gazette. Prentice was a great supporter of Jeremy Bentham and in 1825 wrote in his newspaper: "Believing that the great object of legislation and government ought to be to produce the greatest happiness to the greatest number, we shall, in all our political discussions, keep that object before us." Prentice edited the Manchester Gazette until 1828 when his bankruptcy forced him to close the newspaper. Later that year his radical friends put up the money for a newspaper that he called the Manchester Times. In his newspapers, Archibald Prentice advocated parliamentary reform, religious toleration and free trade. By 1830 the Manchester Times was selling well over 3,000 copies per week. This was more than the Manchester Guardian but John Edward Taylor was more successful in persuading people to advertise in his newspaper. After 1830 sales of the Manchester Times declined. People objected to his "schoolmaster tone" and unlike Taylor's Manchester Guardian, Prentice was unwilling to include many stories on non-political issues. In 1835Archibald Prentice joined Joseph Hume and Francis Place to form the Anti-Corn Law Association. 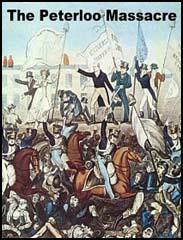 Three years later Prentice organised a meeting in Manchester to protest against the Corn Laws. Only six people turned up but it was decided to form the Anti-Corn Law League. Soon afterwards John Bright and Richard Cobden joined the organisation. The sales of the Manchester Times remained poor and when a a rival radical newspaper, the Manchester Examiner, appeared in 1846, Archibald Prentice found he could no longer make a profit from the venture. In 1847 Prentice agreed to sell his business to the owners of the Manchester Examiner. After leaving newspaper publishing, Archibald Prentice found work at the Manchester Gas Office. However, he continued to write and had several books published including: Tour of the United States (1848), Historical Sketches and Personal Reminiscences of Manchester (1851) and History of the Anti-Corn Law League (1853). Archibald Prentice died on 24th December, 1857. From the windows of Mr. Baxter's house in Mosley Street, I saw the main body proceeding towards St. Peter's Field, and never saw a gayer spectacle. There were haggard-looking men certainly, but the majority were young persons, in their best Sunday suits, and the light coloured dresses of the cheerful tidy-looking women. Slowly and orderly the multitudes took their places round the hustings. Our company laughed at the fears of the magistrates, and the remark was, that if the men intended mischief they would not have brought their wives, their sisters, or their children with them. I saw Hunt arrive, and heard the shouts of the sixty thousands persons by whom he was enthusiastically welcomed, as the carriage in which he stood made its way through the dense crowd to the hustings. I proceeded to my dwelling-house in Salford, intending to return in about an hour or so. I had not been at home more than a quarter of an hour when a wailing sound was heard from the main street, and, rushing out, I saw people running in the direction of Pendleton, their faces pale as death, and some with blood trickling down their cheeks. The unarmed multitude, men, women, and children, had been attacked with murderous results by the military. The magistrates had resolved at the last moment, that Hunt, and the friends who accompanied him to the hustings, should be apprehended. There was abundance of force at hand to render resistance hopeless. The number of special constables had greatly increased, two hundred additional men having been sworn in for the occasion; a portion were stationed round the hustings, and another formed a line of communication to the house in which the magistrates were assembled. Near to the field were six troops of the 15th Hussars, a troop of horse artillery, with two guns, the greater part of the 31st regiment of infantry, some companies of the 88th regiment, the Cheshire yeomanry, of between three and four hundred men, and the Manchester yeomanry, of about forty hot-headed young men, who had volunteered into that service from their intense hatred of radicalism. Eleven years ago, in this town, a meeting, peaceably assembled for the exercise of a constitutional right, was attacked by the military and eleven persons were killed and upwards of 600 wounded. The principal actors in that tragedy were never brought to justice; but on the contrary, received the thanks of the late Majesty. The person (Henry Hunt) who was to have presided was brought to trial, and having been found guilty of being present at the meeting, was sentenced to an imprisonment of two years and a half, which dreadful sentence was most mercilessly put into execution. How vain was the effort made to extinguish the cry for reform, will be proved on Monday next, when probably 50,000 persons will congregate on the field where that tragedy was enacted, to hear that very person relate the story of his sufferings, and address them probably in the very language he intended to use when he was interrupted by the sabres of the Yeomanry.